1987. The Badia of Jordan: the Process of Change, Amman. 1982. L'architecture domestique du Levant à l'Age du Fer, Paris. 1993. Houses and their Furnishings in Bronze Age Palestine, Sheffield. 1989. Studies in the Mesha Inscription and Moab, Atlanta. 1986. Bijdrage tot de studie van de vestigen in Jordanië (Gilead, Ammon, Moab en Edom) gedurende de Vroege IJzertijd I-II (1200-539 v. Kr. ), Brussel (unpublished Ph.D. dissertation, VUB, Brussels). 1997. Bijdrage tot de studie van het fysisch milieu van het Wadi Mujib-bekken nabij Lehun (Moab-district, Jordanië), Gent (unpublished Ph.D. dissertation, Ghent). 2002. Environmental Risk Mapping in the Wadi Mujib Canyon (Jordan), based on Russian Stereoscopic TK-350 Satellite Images. In: Earth Observation by Satellite TELSAT 4. Final reports, Summaries. (Scientific Support Plan for a sustainable Development Policy SPSD 1)., pp.357-365. 1995. Egyptische archeologica in Jordanië in de Bronstijd en Vroege IJzertijd (ca 3200-1000 v. Chr. ), Brussel (unpublished Ph.D. dissertation, VUB, Brussels). 1986. Lehun, A Technological Study of the Pottery of Lehun. In HOMÈS-FREDERICQ, D.& FRANKEN, H.J. eds., Pottery and Potters, Past and Present. 7000 Years of Ceramic Art in Jordan, Tübingen, pp.94-96, 153. 1970. The Other Side of the Jordan, Cambridge, Massachusetts. (more specially p.147). 1985b. Introduction: Phoenician Interconnection in Transjordan? In Studia Phoenicia 3 (1985), pp.5-11. 1986. Prospection Archéologique in Moab. In A.THEODORIDES; P. NASTER & J. RIES, eds., Archéologie et Philologie dans l’Etude des Civilisations Orientales, Leuven, pp.81-100. 1989. Le petit temple nabatéen de Lehun (Jordanie). In: DE MEYER, L. & HAERINCK, E. eds., Archaeology orientalis. Miscellanea in honorem Louis VandenBerghe , Leuven, pp.575-580, 1 pl. 1990. Les fouilles belges à Lehun (Jordanie). In: TUNCA, Ö., ed., De la Babylonie à la Syrie, en passant par Mari. Mélanges offerts à Monsieur J.-R. Kupper à l'occasion de son 70e anniversaire, Liège, pp.255-263, pl. 1 a-b. 1991. Prospection archéologique et fouilles belges à Lehun en Jordanie. In: Liber Amicorum J.A.E. Nenquin. Studia Archaeologica, Gent, pp.131-138, figs. 1-8. 1992. Late Bronze and Iron Age Evidence from Lehun in Moab. In: BIENKOWSKI, P., Early Edom and Moab. The Beginning of the Iron Age in Southern Jordan, Sheffield, pp.187-202. 1992b. Lehun. In: ABD 4, pp.275-276. 1994b. Le site archéologique de Lehun en Jordanie au IIe millénaire avant J.-C. In: Mesopotamian History and Environment. Occasional Publications. II. Cinquante-deux réflexions sur le Proche-Orient ancien offertes en hommage à Léon de Meyer, Leuven, pp.427-432, 4 figs. 1997c. Lehun. In: Encyclopedia of Near Eastern Archaeology, Oxford University Press, New York, pp.340-341, 1 fig. 1999b. Archeologie: Ontdek Lehun en de Koningsweg...De Belgische Opgravingen in het Antieke Jordanië. In: Nieuw Tijdschrift van de Vrije Universiteit Brussel, 11/2, pp.6-36, 19 figs. 1999c. Lehun et le Wadi Mujib. Evolution religieuse des cultes sur un site villageois de Moab. In: Dossiers de l'Archéologie224, pp.32-37, 11 figs., plans. 2000a. 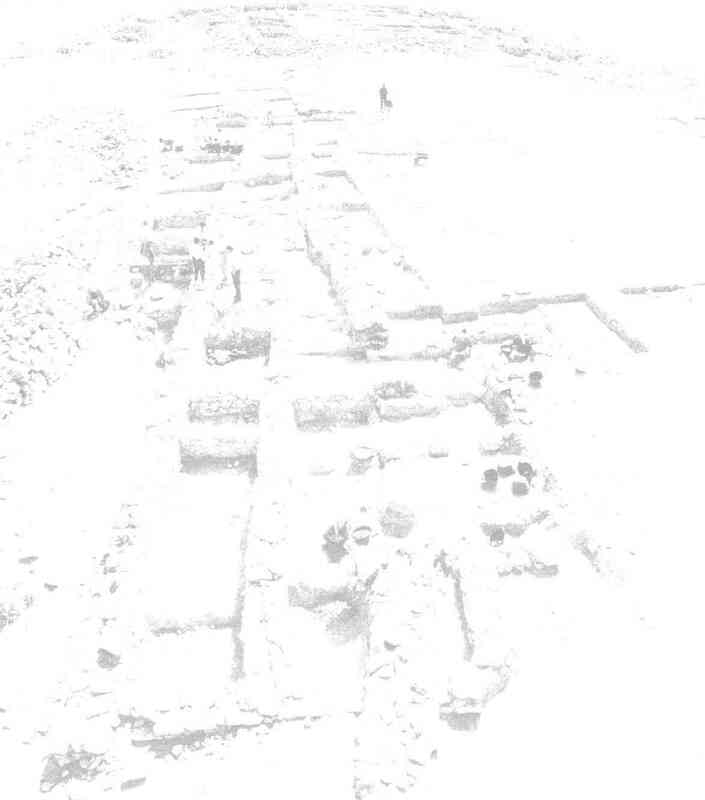 Excavating the First Pillar House at Lehun (Jordan). In: L.E. STAGER, J.A. GREEN & M.D. COOGAN ,eds., The Archaeology of Jordan and Beyond, Essays in Honor of James A. Sauer, Eisenbraun/Semitic Museum, Winona Lake, Indiana, pp.180-195, 16 figs. 2001a. A Case Study: Lehun between "Desert and Sown" in Moab (Central Jordan). In: W.H. van SOLDT, ed., Veenhof Anniversary Volume. Studies Presented to Klaas R. Veenhof on the Occasion of his Sixty-Fifth Birthday,Leiden, pp.197-210, 9 figs. 2001b. Ontdek Lehun en de Koningsweg...De Belgische Opgravingen in het Antieke Jordanië. In: Phoenix47/3 (2001), pp.117-147, 10 figs. 1997. A Geo-archaeological Approach of the Belgian Excavations in Lehun (Jordan). SHAJ6 (1997), pp.57-65, 20 figs. 1979. Recherches archéologiques à Lehun au Wadi Mojib. ADAJ23 (1979), pp.51-56, 1 fig. 1982. Les premières fouilles belges en Jordanie. In: A. HADIDI, ed., Studies in the History and Archaeology of Jordan I,Amman, pp.285-289, 4 fig.